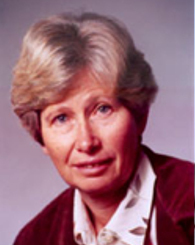 Elisabeth Sadoulet is a Professor of Agricultural and Resource Economics at UC Berkeley. Her research interests span agricultural technologies, microcredit, conservation, conditional cash transfers, and property rights. Elisabeth has conducted field research in sub-Saharan Africa, Latin America, India, and China. Elisabeth holds a Ph.D. from the University of Geneva. Can Conditional Cash Transfer Programs Serve as Safety Nets in Keeping Children at School and From Working When Exposed to Shocks?